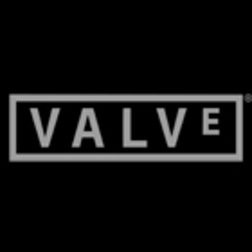 For what its worth, I don't think there is a better game company in existence then Valve. No, Blizzard has long let that title go. No, Bioware is pretty damn good, but still does not push the envelope the way Valve has. Since 1998 and the release of the original Half-Life, perhaps the greatest PC game of all time, Valve has continued to innovate gaming in incredible, sometimes unnoticed ways. Silent protagonist and all, Valve has built cache by innovating the telling of stories, the mechanics of gaming and even the technological aspects of game distribution. Lets make this clear, Valve has really only made a handful of games. In many ways, they only have 4-5 properties: Half-life, Team Fortress, Left 4 Dead, Counterstrike and Portal. However, each of these games (even the long tech demo that was the original Portal) was a significant step forward for gaming as a whole. They took huge steps forward, both in creating the blueprint for scenario based storytelling in first person shooter games and for pushing the use of realistic physics. While it seems only natural for FPS games to use a detailed physics engine now, it was not always that way. Valve has pulled physics to the forefront, building intuitive and often tactical uses of the real life concepts of physics into both combat and puzzle solving, the cornerstones of an FPS franchise. Portal shows that we can continue to push the elements involved into new realms utilizing advancements in technology to build fundamental innovation into gaming (puzzle games in first person, what?!). Their games have been undeniably innovative and polished; among the best all time. However, their advancements on a distribution level have also been phenomenal. Intially, via their support for the mod community, which not only provided consistent innovation of their core game but also the opportunity to find new titles. In a sense, they outsourced secondary innovation to their playerbase who responded to this vote of confidence by giving them back two marquee titles: Counterstrike and Team Fortress. This really was innovative practice in a time where protecting data rights was an industry goal. This led them to their second advancement, which is the Steam Platform, now developed into a fully functioning game distribution network (as well as a social platform and marketplace) which was, initially, simply their answer to piracy. They brought gaming to the cloud before anyone knew what the cloud was, and while other major players scramble to catch up, Valve has had a decade to work out the kinks in their platform and it shows. Are they perfect? No one is. But after sitting down and being utterly impressed once again with their most recent offering, Portal 2, I can say that without a doubt their games damn nearly are. In case anyone hasn't given Valve's games a proper look see, Steam currently has the Valve Complete Pack for $49.95. That's 1/4 the normal price and includes their entire library. Just as a little bonus, Team Fortress 2 is now free to play, and continues to be one of the most developer supported and updated games I've ever played.